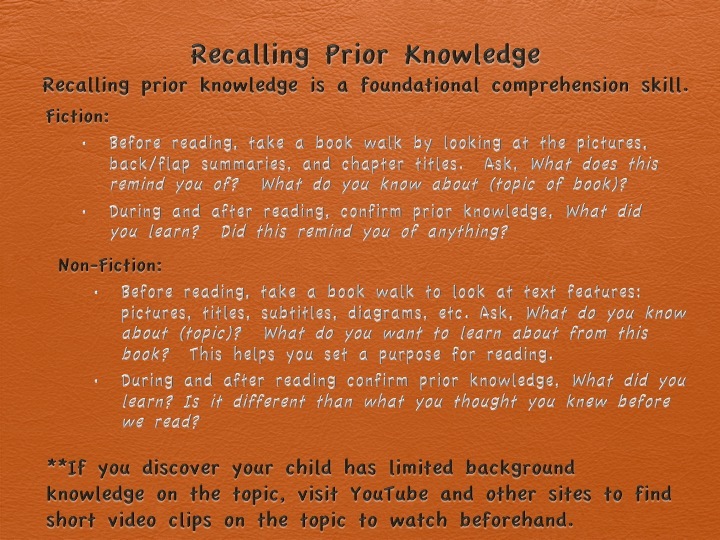 Does your child read without pausing to think? 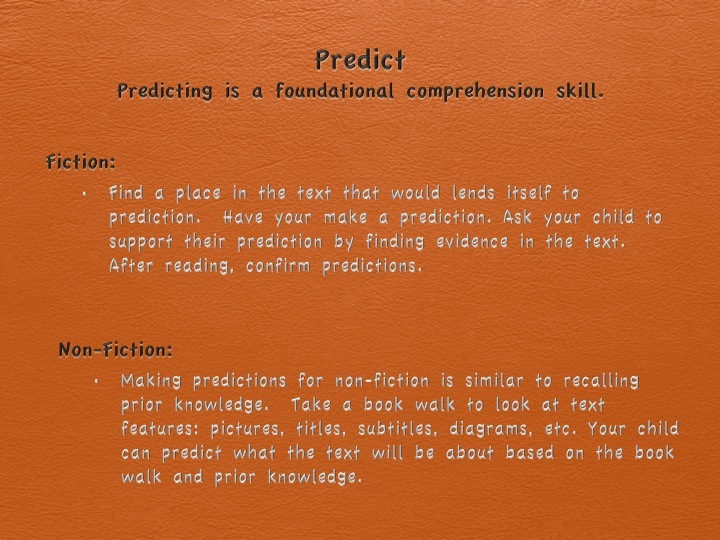 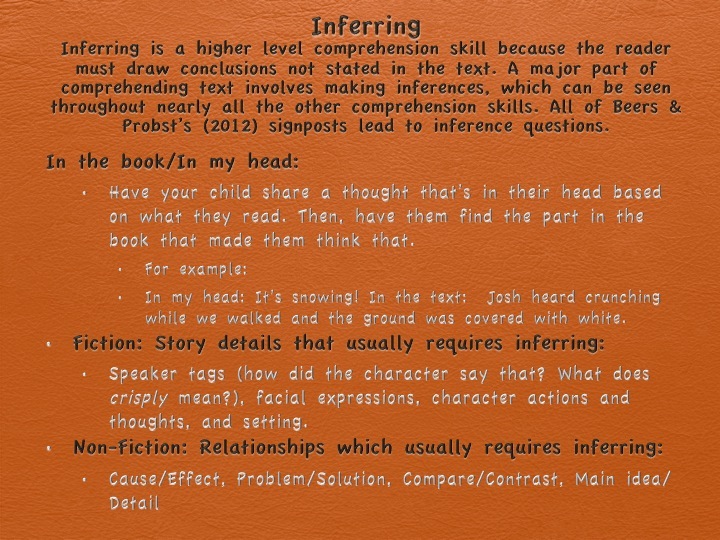 Beers & Probst (2012) identified six "signposts" for children to look for while reading literature. 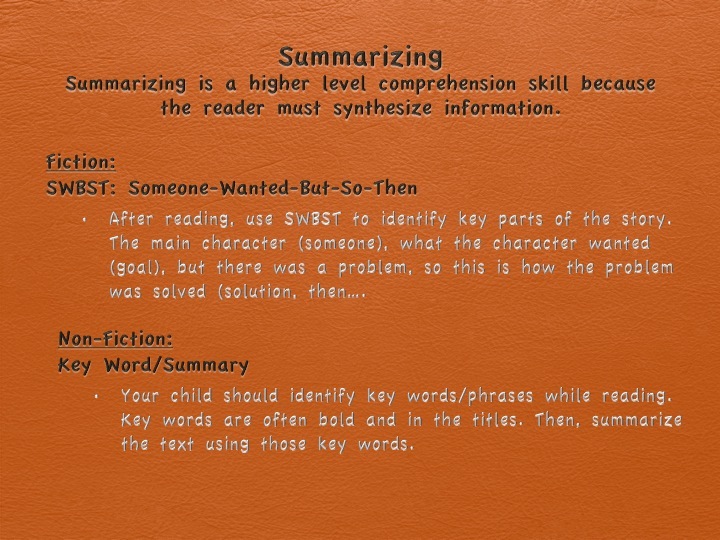 They occur frequently in children's text. 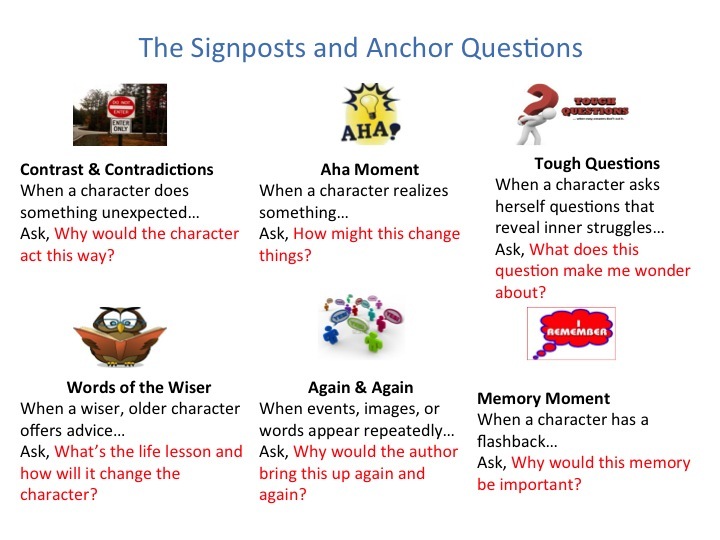 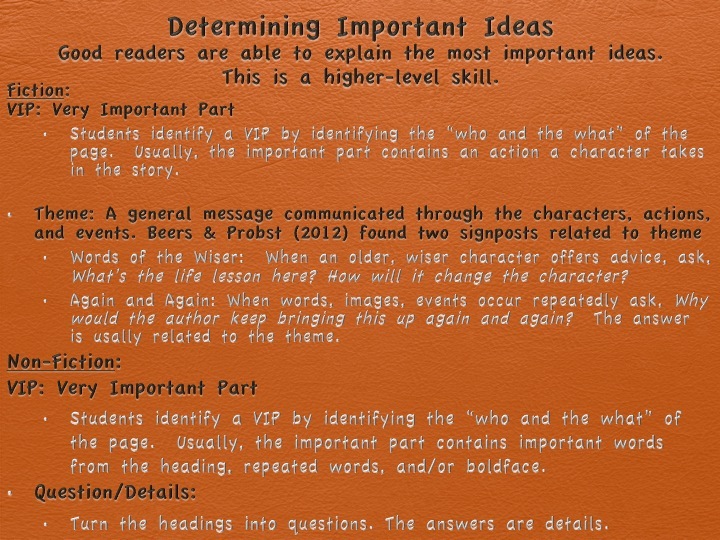 Coupled with the signposts are anchor questions students should ask themselves while reading. 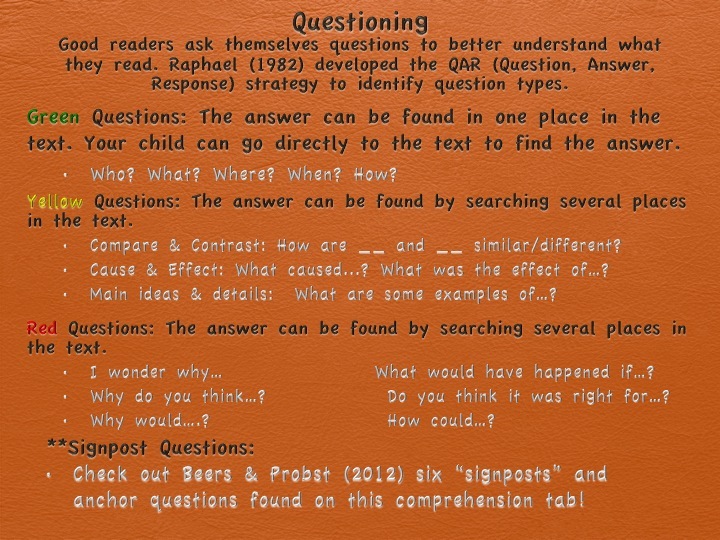 Using these signposts and anchor questions will naturally lead students to exercise the major comprehension skills, such as inferencing. 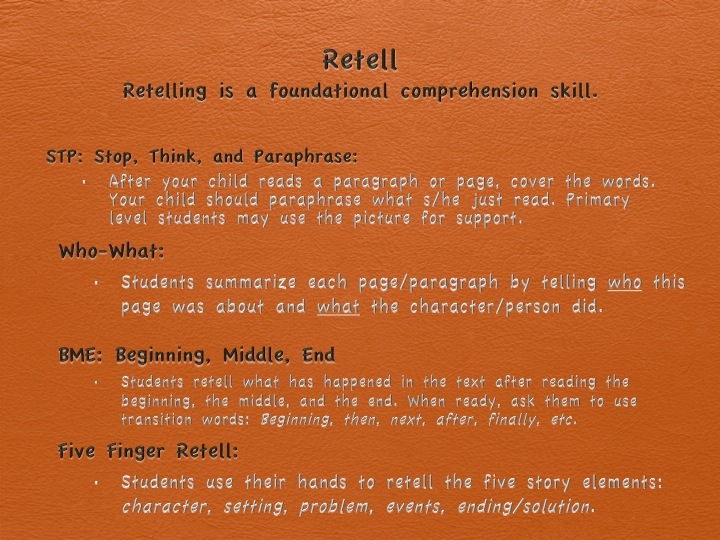 Below are eight major comprehension skills. 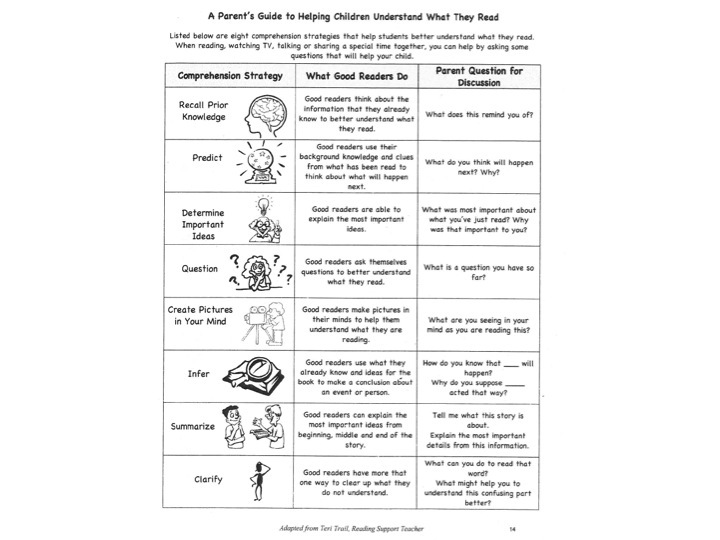 The suggested questions will help generate discussion. 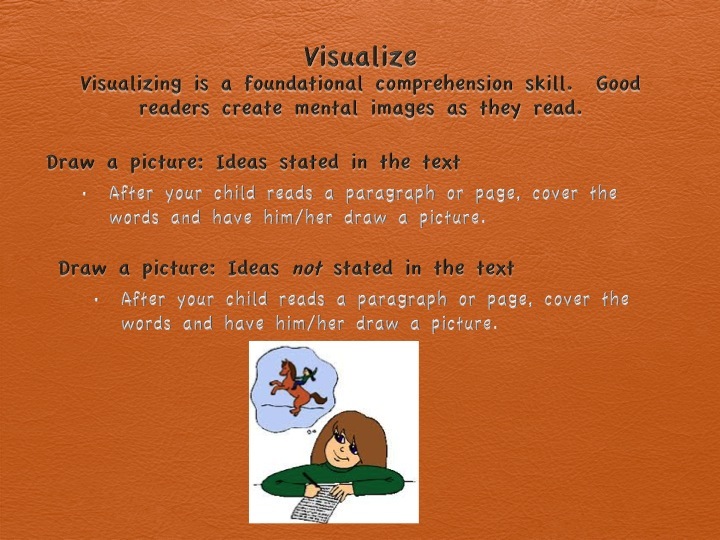 Scroll below for specific strategies for each skill.